Whenever I need to whip up a musical example to use in one of my accordion student’s lessons, or a string arrangement for my wife’s quartet, or the free accordion music I post here now and then, I sit down at the computer and knock it out using notation software. 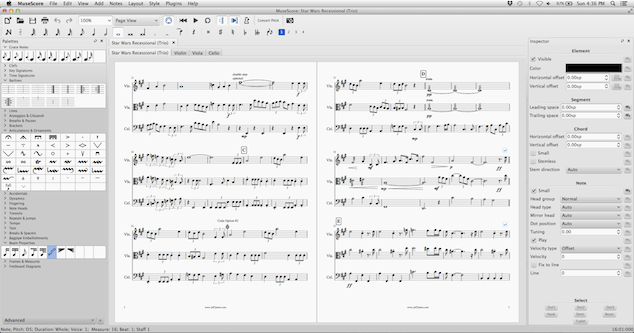 I started out with Finale, then switched to Sibelius, and eventually became a huge fan of MuseScore, which has been my current go-to for the past several years. But long ago, when I first learned to write notation back at Berklee, none of the above programs existed yet, so we did it by hand, with a pencil or pen, a straight-edge, and a pad of pre-lined notation paper. This entry was posted in Tips by Jeff Jetton. Bookmark the permalink.